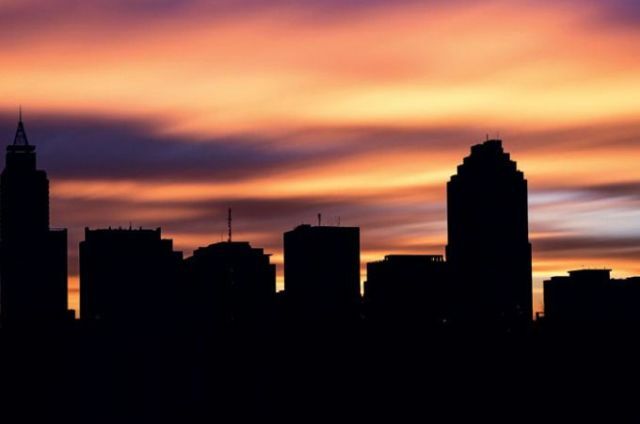 IN ORDER TO BENEFIT FROM INCONTROL SERVICES, YOU WILL NEED TO ACTIVATE THE INCONTROL SERVICES YOU HAVE ALREADY PURCHASED. Please click on the link from the InControl email sent by your retailer which takes you to the InControl website and follow the simple steps indicated on the screen. If you have not received the activation email from your retailer, please check your Spam folder or contact your retailer. If your retailer has not registered you for an account, please follow the simple process to register, connect and activate your InControl features. Before you start, please make sure you have access to the vehicle, it is parked outside in an area with good network coverage, and you have the registration number to hand. You also need the VIN (vehicle identification number), which you will find on the left-hand side of the windscreen or in the vehicle handbook. 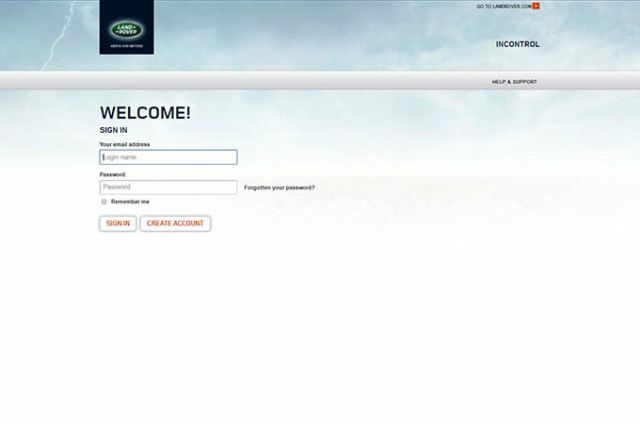 Visit the My Land Rover InControl website and create an account, entering your email address for a registration email to be sent to you. Click on the secure link in the email and follow the setup instructions on screen. 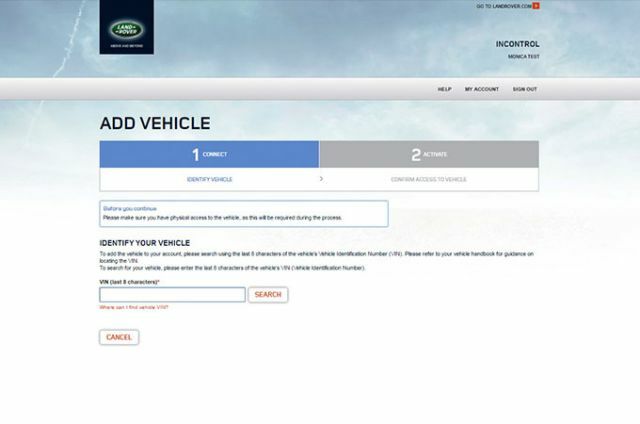 You will then be asked to link your Land Rover vehicle to your account to confirm you are the owner or an authorised user. To do this, you will need to access your vehicle within 60 minutes to complete the set-up before you must re-start the process. 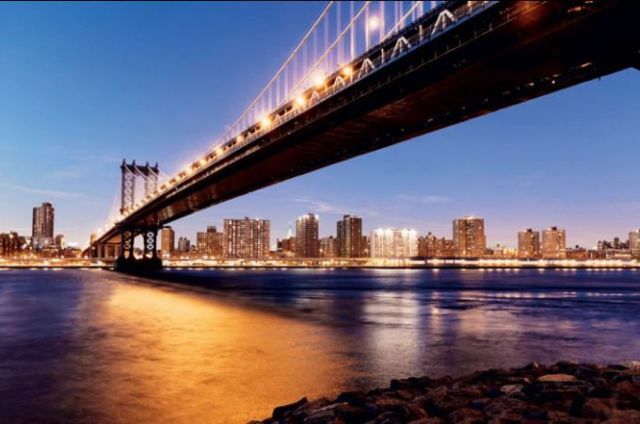 You will be asked to complete the vehicle details and accept the legal terms. 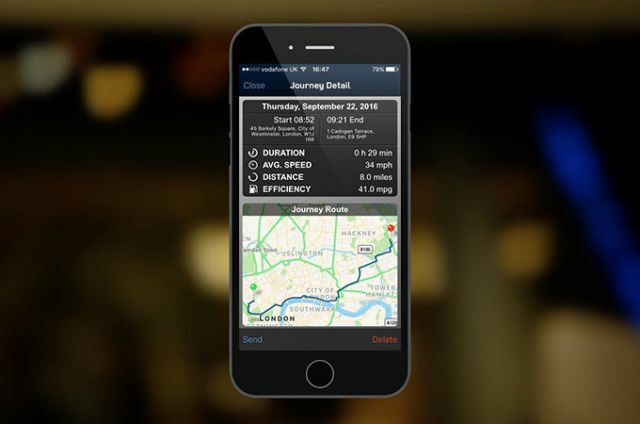 You will also be able to switch on the Journeys function. Once you have finished the activation process, you can download and log in to the Remote Smartphone app using your account credentials. The app is free and includes a demonstration mode. Before you start, please make sure you have access to the vehicle, it is parked outside in an area with good network coverage, and you have the registration number to hand. You also need the VIN (vehicle identification number), which is on the left-hand side of the windscreen or in the vehicle handbook. To add a vehicle to your account, log in and go to the Add Vehicle tab. 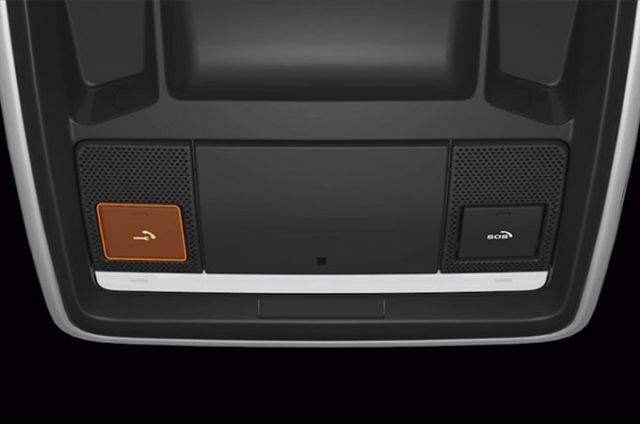 Follow the steps on screen to connect your vehicle to your account. 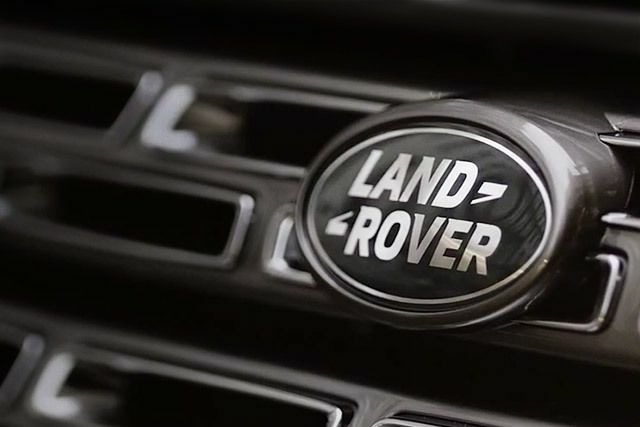 When selling, trading in or transferring ownership of your Land Rover privately, you must remove your vehicle from your InControl account. 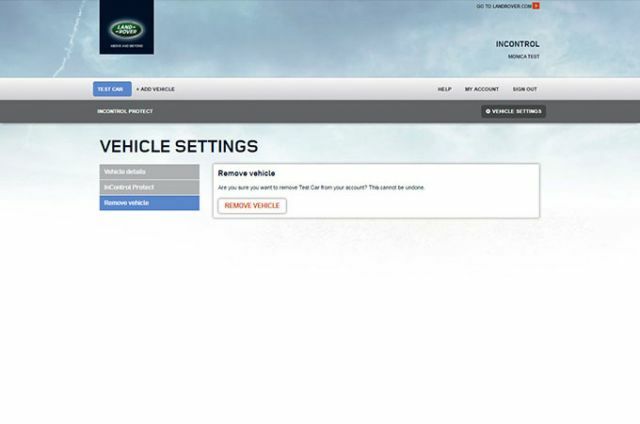 To do this, log in to My Land Rover InControl, go to the Vehicle Settings tab and press the Remove Vehicle button. If you have any outstanding InControl subscriptions, these will be transferred to the new owner of the vehicle for the remainder of the subscription term, subject to the new owner completing the InControl account setup.